Total health starts with your oral health. Our primary goal is the prevention of tooth decay and gum disease. A beautiful smile is your best asset. No matter what is making your self-conscious, we have a cosmetic solution that is right for you. We offer complete dental implant solutions to replace missing teeth. Eat, speak & smile with confidence today! We offer same-day emergency care. We are here when you need us the most, if you are in pain, call us today! Would you like beautiful straight teeth without having to wear braces? Get a Free invisalign consultation today! Do you snore or suffer from sleep apnea? Consider an oral appliance to reclaim your sleep. SmileVille Dental, welcomes patients from Whitchurch-Stouffville, Aurora, Markham, Uxbridge, Mt. 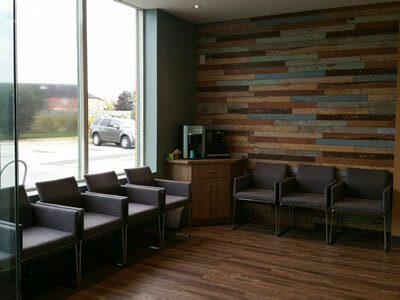 Albert, and Newmarket to our state-of-the-art dental office in Stouffville. At SmileVille Dental we offer a friendly patient experience. We like to make our patients feel welcome and part of our dental family. It is a pleasure to see new patients of all ages, from children to seniors and we are always happy to see visitors who have been part of our dental family for over 25 years. At our Stouffville dental clinic, we look after patients’ needs on a timely basis and if you have a dental emergency, we will make every effort to see you the same day. There is plenty of free parking, and our dental office is wheelchair accessible. We love to see you smile, so give us a call today!